This listing is for one 7" x 7" personalized wedding cake topper tree sculpture with custom sign. 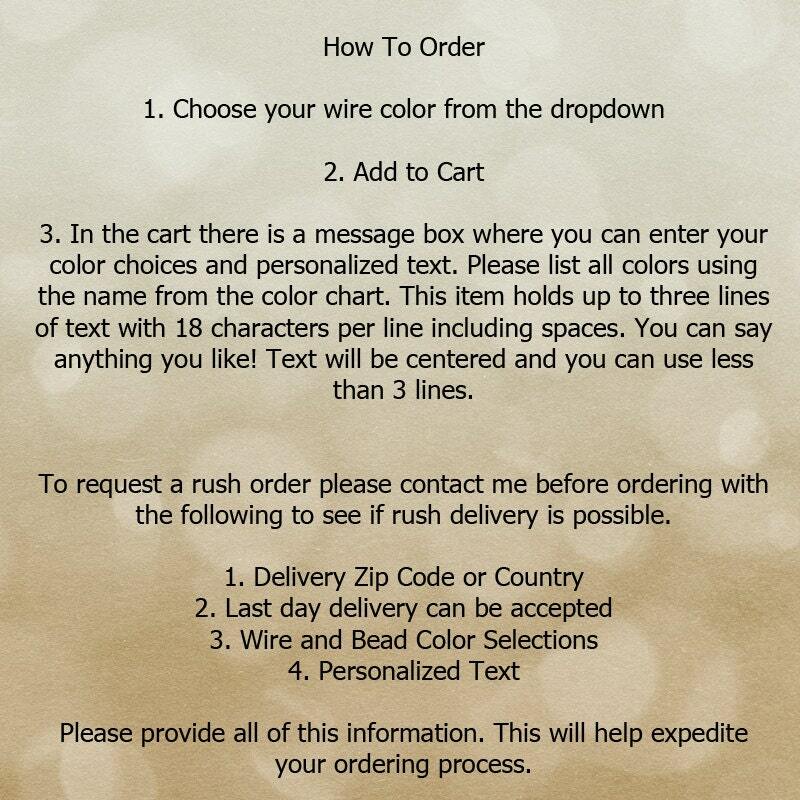 Just select a wire color from the drop down, add to cart, then list the following in the message box located in the shopping cart. 1. Your choice of beads. You may mix as many as you like. 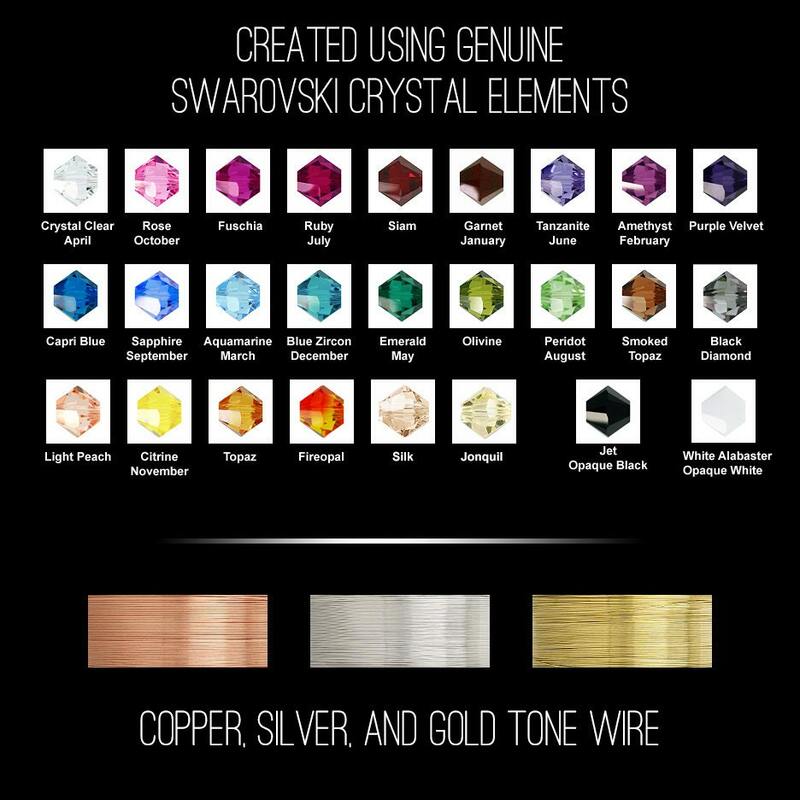 Be sure to note the color name from the chart located in the additional image. 2. The sign accommodates up to three lines of text with 17 characters per line including spaces. You can say anything you like! Text will be centered and you can use less than 3 lines. Please note your text in the message to seller during checkout. 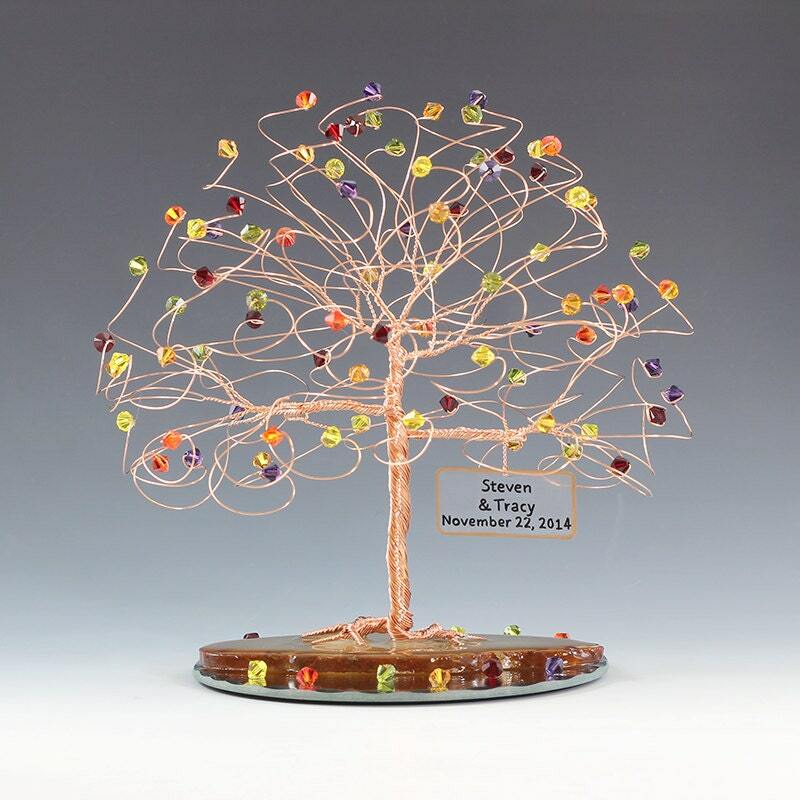 Tree measures approx 7" x 7" and is created from your choice of silver, copper, or gold non-tarnish wire. All 80 branches end in genuine swarovski crystal elements and the base is a slice of natural brazilian agate mounted on a 5" round mirror. Weight is about 8oz. Absolutely gorgeous!!! The detail put into the tree was amazing. My tree is perfect and it came nicely boxed and packed very securely !! I will post picture when I put it on my wedding cake!! ☺️ I love it!!! Thank you!!! This is a really beautiful piece. so dainty and elegant. looks even better than i anticipated.